Release on April 17, 2009. Readers in Switzerland, please click here. Horen but once inside you! Graduated from Wako Gakuen junior high school/high school. Graduated from Kunitachi College of Music, vocal course. Enrolled in Nikikai opera member. Went to abroad to study the folk music with a central focus on yodel of Germany, Switzerland, and Austria while appearing on large numbers of opera, operetta, and musicals. Since 1992, studied under Marie Therese Von Gun Teng for Swiss yodel, and Inge Foffa, Maria Helbig, and Otto Piasac for German yodel. Formed Musical band of Alps centering on yodel in 1994. Took an active part in yodel concert in auditorium, an event, etc., and appear also on a large number of children's programs, such as "Ponkickies", for playing yodel. It is frequently taken up by television program "Look Look Konnichiwa", the 1st broadcast of Japan, NHK oversea broadcast (German version), and German national broadcaster, ZDF for playing yodel. For Germany yodel (Germany / Bayern Beer thing), while acting as regular singer in Tokyo Ｈｏｆｂｒaｕｈａｕｓ Shinjuku for 12 years, started a band of beer hall "FESUTO", and acted as a bandmaster. Took charge of playing on Monday, Wednesday and Friday for four years regularly with Edelweiss musikanten in Yebisu Garden Place "Festbräu (wide beer hall like a gymnasium with 500 seats)". Also appeared on a large number of stages of beer festivals, such as company-sponsored Oktoberfeste. For Swiss yodel, awarded the highest degree of class 1 (Höchstklasse) in Swiss Confederation sponsorship yodel fest in 2008. 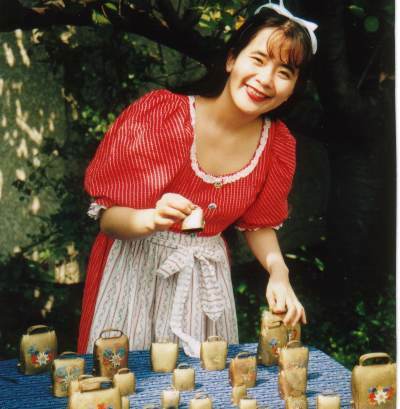 She is a first professional female alpine yodel leading expert in Japan who deals with all of the Switzerland yodel, German yodel, Austria yodel and alpine yodel. A lecturer of open school of NHK Gakuen Kunitachi school, "Let's sing alpine yodel"
- a hall performance (large number in all over the country) of the YAMAHA music plan "Alpine songs"
- Family theater hall performance work of Alpine Musical band, "Heidi version" and "William Tell version"and others. The activities except for yodel concert are as follows. Appeared on Toho musical "Sound of Music" and "My Fair Lady". See the movie of You Tube (There are many movies)　.Click here. These are the plays that Sakura Kitagawa resents. From performances at the hall with the capacity of 2000 persons to various ivents, salon concert, and beer things such as Oktoberfest ! We present the enjoyable concert centering on Alpine yodel. Pleasant participated type concert / yodel Sakura Kitagawa and Edelweiss musikanten. She is appointed for hall performance using Yodel, Alphorn, cowbell etc., the board of education hosts. An interesting concert that children and adults can participate in together. The concert with human message from which alpine life and culture are transmitted by a poet and writer of children's stories, Yukihiko Kitagawa. It is for families. "All the people have a good thing which is not compared, respectively." 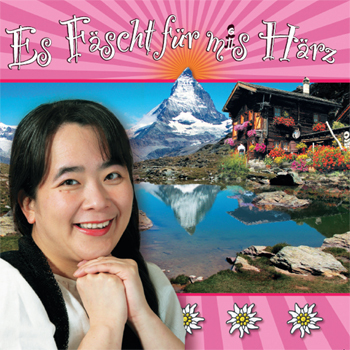 With human poetry of the Yukihiko Kitagawa, we present the warmth of people of Alps in connection with the story of Heidi or Alpine fork songs. Poetry and music. Also participatory dance. Beautiful nature in Alps lies side-by-side with death. Yukihiko Kitagawa draws the crystal written by Stifter from child's view. Musical training. Pleasant participated type concert of Alps is attached in the second half. We present the spirit of "freedom", "equal", and "independence" of Switzerland in musical training in connection with the Switzerland nation-building tale and the William Tell tradition . The music is the indigenous folk music of Uri state of Switzerland. All costumes are also genuine articles of Uri state in the people performing arts of Switzerland. Ethnic entertainments, such as flag-waving, Taraspinagen, and Beseler, are also included. It becomes a concert of the ethnic music of Switzerland in the second half. - Each performance attaches brass orchestrations, such as Alphorn, cowbell, yodel trumpet. -Let's touch Alphorn, yodel, cowbell !! Workshop. It is popular for children. Various events, beer party, Oktoberfest, beer halls etc. German beer of scene style, "Shunkel", "Polonaise", "Dance of duck", etc. We foster certainly in the German yodel of Sakura Kitagawa. For the width in the hall, either capacity of 1500 persons or 30 persons is acceptable ! We can arrange on request. - Off course, we accept the solo concert of Sakura Kitagawa. - We also accept the concert with the story of Alps life for adult. homepage | Copyright (C) 2009" Sakura Kitagawa Official WebSite". All rights reserved.